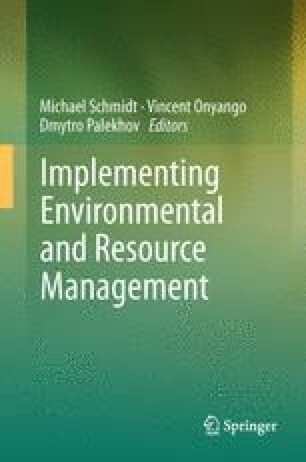 Recycling is a concept, normally taken-for-granted within academic approaches to environmental management. Recognising that recycling should be preceded by reduction of waste and re-use, the science of recycling usually addresses its object as an activity which needs optimising, rather than questioning. My take on recycling differs from the standard one: I focus on possibilities to conceptualise an agent who was responsible for implementing a recycling scheme for her1 organisation. By way of drawing on sociological theories (especially Bourdieu’s theory of practice and Actor-network theory) I point to significant problems in approaching sustainability. The empirical data consists of ethnographic field work which illustrates societal implications of thinking about transforming organisations towards sustainable conduct: by constructing a recycling scheme the waste manager of the organisation ensures that the organisation does not move towards reducing or altering resource consumption. Rather, she stabilises an unsustainable trajectory and inhibits societal transformation even beyond her organisation. Thus, sociological theory allows for problematising and better grasping of the societal implications and limitations of environmental management.